Küblis in the beautiful Prättigau is the starting point for many summer and winter activities. Ideal in summer for hiking, biking, car trips, post bus or train. In winter, the ski areas of Klosters and Davos are at the door. Our house is just as good to relax and do nothing. On the patio you can enjoy a magnificent view of the Prättigau mountains. Küblis is part of the tourism destination Davos / Klosters and offers many attractive advantages with the guest card. In summer, the guest has free travel on the cable cars and many other additional services. 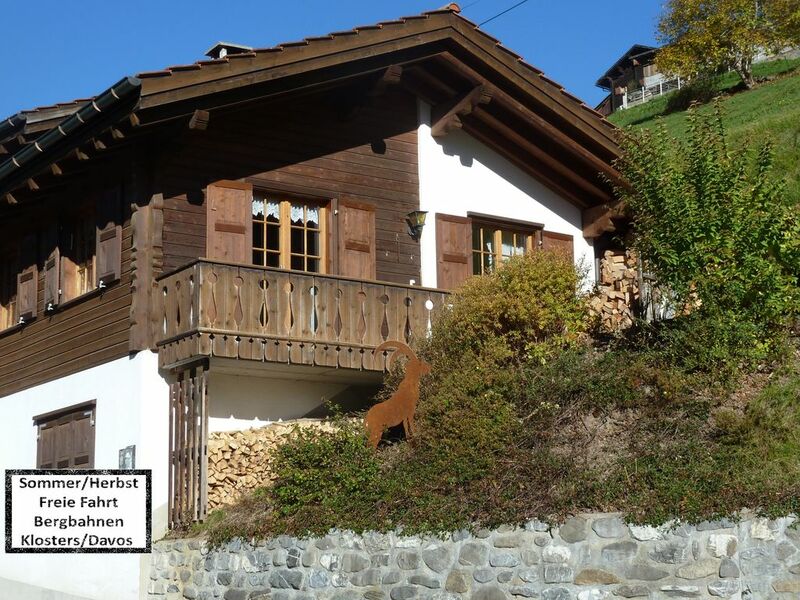 The holiday home Stutz is a semi-detached house situated on the sunny slope above Küblis (804 m), about 500 m from the village center. The right part of the house has 3 bedrooms, one of them with separate access via the communal staircase. The train station is about 800m away. In summer you can reach the house directly by car and there is a parking space available. The steep driveway is not suitable for van or bus. In winter, the park is parked in the village and you can reach the house in about 10-15 minutes on foot. The house is located on the sunny slope above Küblis (804 m), about 800m from the village center. The train station is about 1200m away. In summer you can reach the house directly by car and there is a parking space available. The steep driveway is not suitable for van or bus. In winter, the park is parked in the village and you can reach the house in 10-15 minutes on foot. Beachten Sie bitte, dass das Haus im Sommer mit dem Auto direkt erreichbar ist. Sie finden dann an der Unterkunft ein Parkplatz vor. Im Winter wenn Schnee liegt, können Sie Ihr Auto im Dorf parken und gehen von dort aus 10-15 Minuten bis zum Ferienhaus.